The current focus of the Robotics and Autonomous Systems Laboratory (RASL) is to design and develop novel robotic and virtual reality systems for human-robot and human-computer interactions. 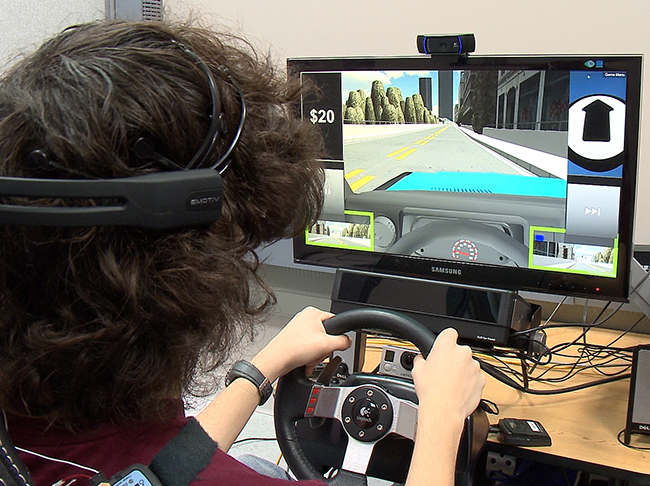 The Center for Autism & Innovation is leveraging this research and development effort to address practical challenges faced by autistic individuals in the context of employment, such as a driving simulator designed to help autistic individuals learn to drive and a social interactions simulator designed to teach autistic individuals how to engage socially at work. To learn more about this lab, visit this website.